Embracing an ideal position off the highway, this north facing terrace apartment overlooks Greengate Lane at the rear of a landmark contemporary development. With a prized feature of the apartment being it’s spacious, sunny courtyard we focussed on highlighting this space as a modern and comfortable area, ideal for entertaining. Vibrant yellows and geometric prints were used to create a stylish and bright look in the light filled open plan living and dining. 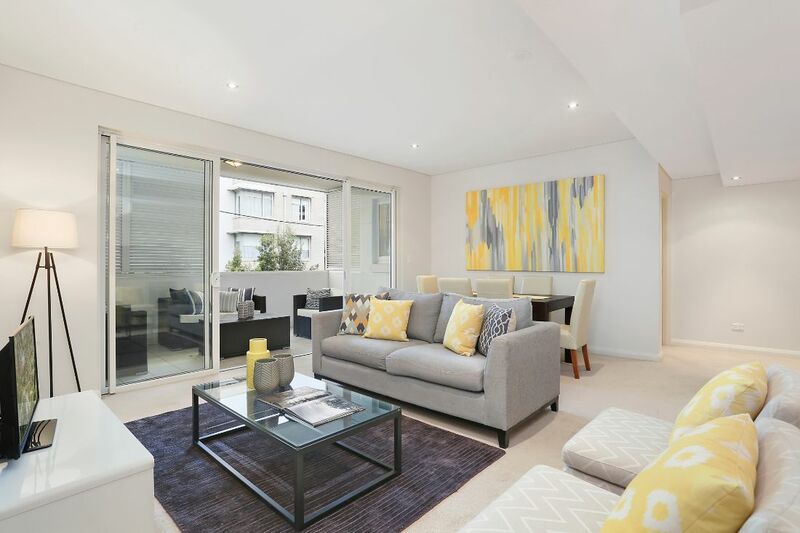 Walking distance to schools, shops and station this two bedroom apartment is located at 657 Pacific Highway, Killara. Considering furniture hire for the sale of your house in Sydney?